For now, my full-time job revolves around being a graduate student in a Creative Writing program, where I have recently completed my thesis – a novel. Prior to graduate school I’d only written short stories, no more than ten pages each. So imagine my surprise when I learned that in order to graduate with an M.A. in Creative Writing, I would have to write a manuscript of 120 pages. Say what? As a novice novel writer, I hadn’t a clue where to begin. My strategy for writing had always been to sit at my computer and begin emptying my mind. But flying by the seat of one’s pants does not work in grad school. Within two semesters I learned what it meant to have discipline as a writer, to engage in a daily diet of writing and rewriting. My first task involved writing a summary of my book. Then, I carefully mapped out a biographical sketch of the protagonist so that I could become familiar with her. I kept a notebook containing information prevalent to the development of each main and minor character. Finally, I began drafting the story. Take one. In the midst of writing I also read voraciously, familiarizing myself with myriad authors and their techniques, because, believe it or not, stories do not just come together. They’re carefully executed. The number one rule when writing a novel: treat your characters as if they’re real. If you don’t care about them, your reader won’t, either. I came to know each of my characters on a personal level, and before long, I could not even sleep at night without interruptions from these imaginary beings. Pay attention to the voices when they speak. No, it doesn’t mean you’re crazy. Characters will haunt you until you listen and write down what they, not you, have to say. It’s called mind control, and they’re at the helm. During my second draft, I took to my notebook and wrote a “cause and effect” for each chapter: the cause of whatever conflict the characters were going through, and the effect it had on them. Four drafts and 175 pages later, I learned a great deal about novel writing. Each sentence must flow easily. Read your story aloud. If you stumble through a sentence, rewrite it. Each paragraph must transition easily to the next. Each chapter must be able to stand alone. The main thing to remember when writing a novel is that you must never give up, no matter how tedious the process. Write, rewrite, and then rewrite again. But if per chance you wish to throw in your pen and leave the Bohemian lifestyle, you can always get a real job! Tara Lynn Marta is a writer of fiction and nonfiction. 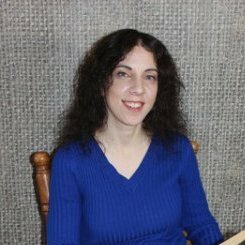 Her work has been published by Aaduna, Inc., The Humor Times, PoetrySoup, The Gorge, and Heartache to Healing. She is also a book reviewer for At the Inkwell as well as a contributing blogger for the American Writers Museum. Congratulations on completing your thesis novel and your MA! I agree, you must keep at it--a daily diet of writing and rewriting--and reading aloud is great advice. Each chapter must stand alone is interesting advice, but I like it because if you made every chapter a standalone then you could publish those pieces as short stories to gain publicity for your book. Tara--I love the "cause and effect" notebook you keep. That ensures the writer keeps the tension going... gentle roller coaster style. I agree with Angela. If you're in the business of writing, it's a REAL job. Congratulations on the completion of your thesis! And, great tip on reading your story aloud. It does make a difference. Hi Angela. I agree, writing is a full-time tedious job. I have had non-writers tell me that writing isn't a real job. It's disconcerting to say the least. That's why I included that line in my blog, a sarcastic answer to those who think writers sit around all day doing nothing. Thanks for your comment. I appreciate it. I agree with you and Angela. Writing is a real job. At least everyone on here understands and appreciates writers. I've encountered naysayers, though, who feel it's a waste of time. Thankfully, we have a community of writers who understand what a job it really is. I'm Bold. I'm Brilliant. I'm Beautiful. Where Do I Go With My Mess of a Manuscript?